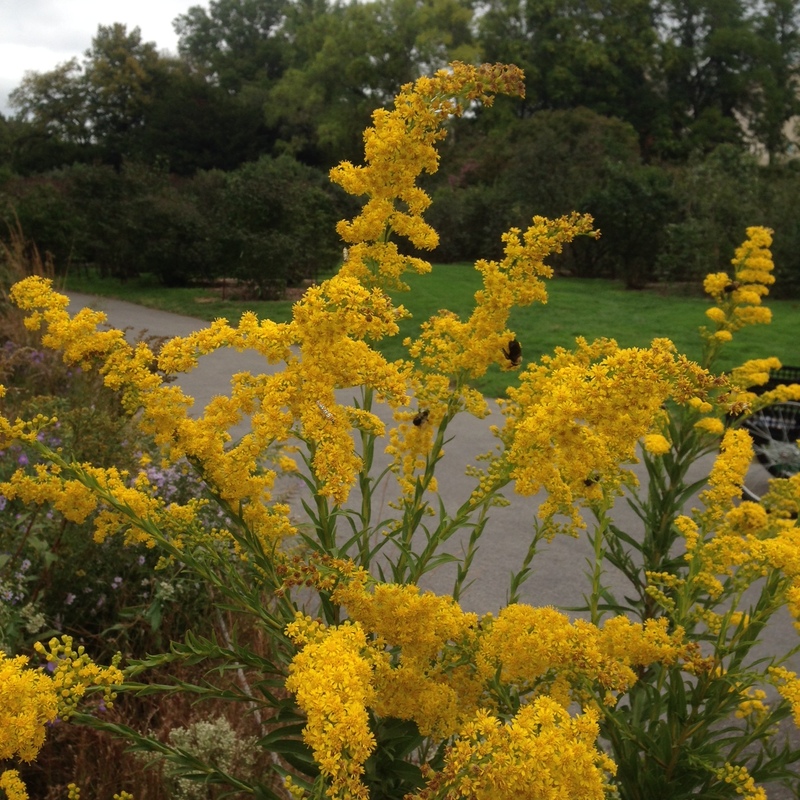 This goldenrod was chock-a-stem with bumblebees, carpenter bees, and honeybees, moving slowly if at all on a cool day. You could pet them if you liked. This is the last hurrah for the bumbles and carpenter bees, except for already mated queens, who will soon find a place tucked away in leaf litter for the winter. Female honeybees will overwinter in the hive, keeping their queen warm. It’s curtains for all the males. 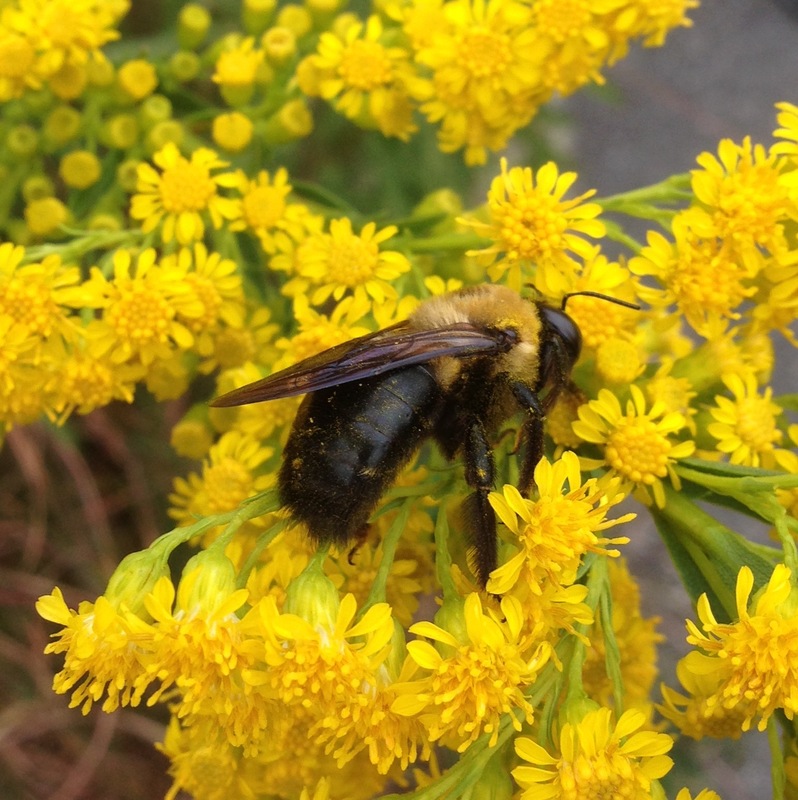 I’ve never noticed the white face mark of the male Eastern Carpenter Bee (Xylocopa virginica). 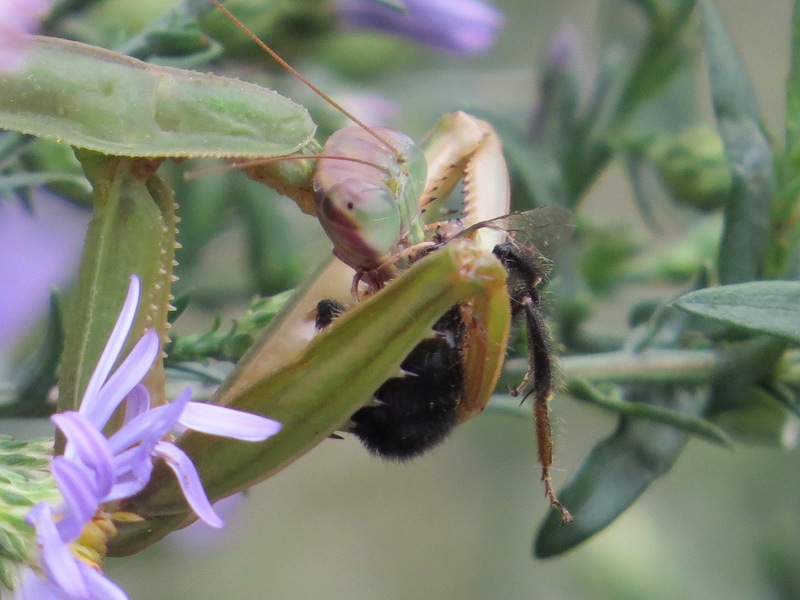 The great circle of life in action: a mantis munches away at a still-flailing bumblebee. 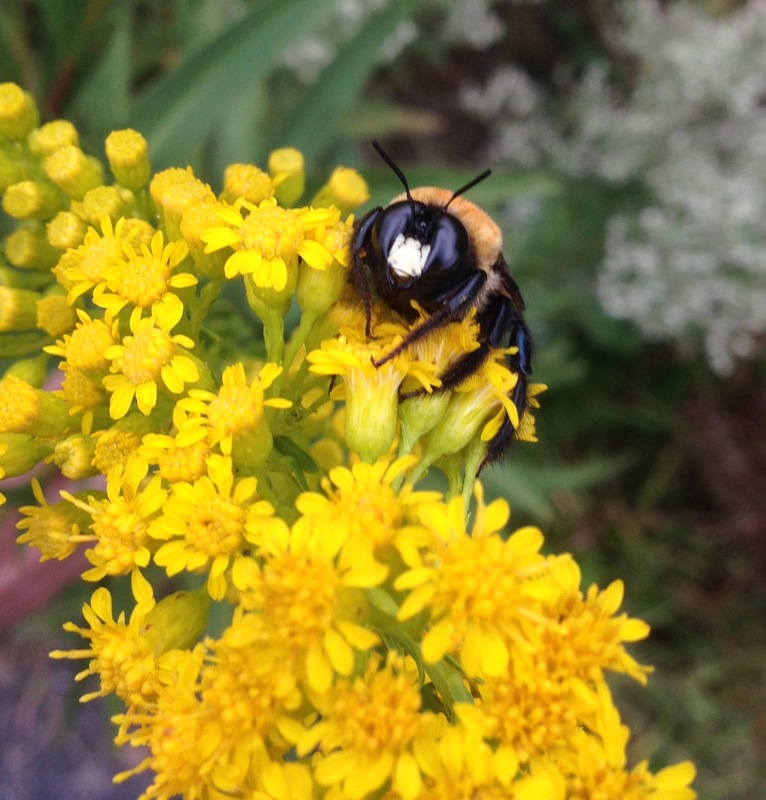 As a child in Alabama I was told that the bumble bees with white heads did not sting, but the black headed ones did. True, males don’t sting. Although some will make the motions, perhaps to scare threats? In general, though even female BBs don’t sting unless provoked. As children, we did provoke them. Please do visit my posts and add your view 🙂 A new blogger needs support of all of you!